In case you are going to play around with your design size, it is recommended that you work with design vectors as they are scalable without losing the design quality. There are various vectors related to different themes. 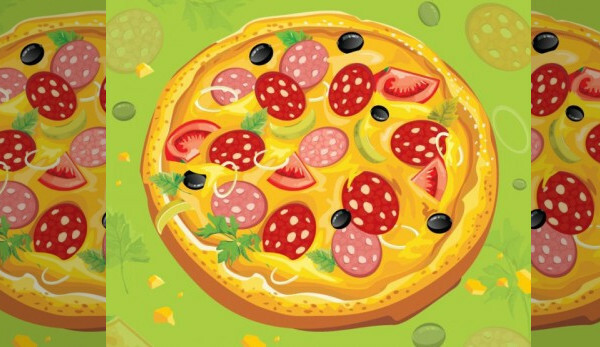 You can look at food vector graphics, or otherwise you can scroll through the following pages of this article to come across illustration vectors related to pizza. You may also see Cupcakes Vectors. 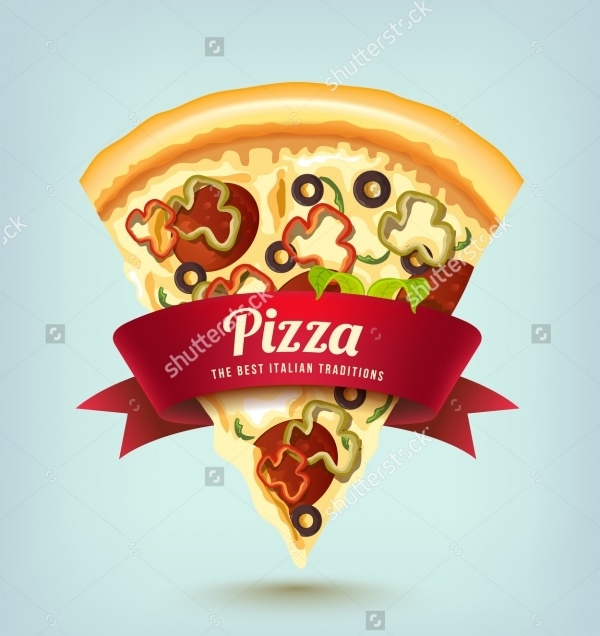 You can use these vectors as different design elements for any pizza restaurant branding design or flyer or advertisement stationary. You can even use these in party invites and other such events where there are food and social gathering. You may also see Vine Vectors. 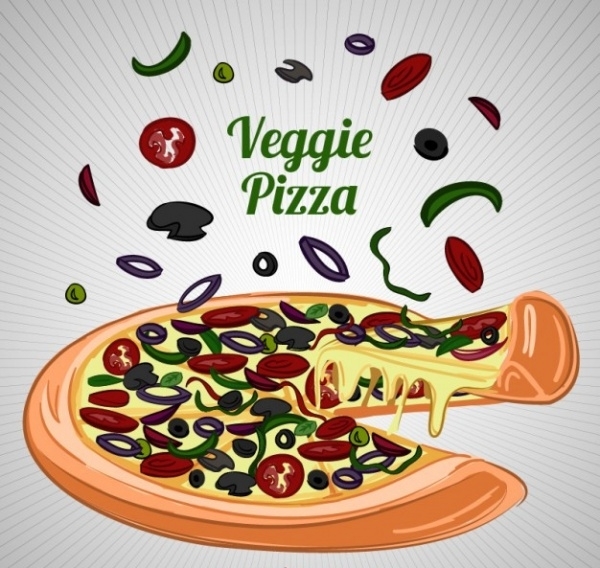 Here is a digitally illustrated vector illustration of cheese and veggie-filled pizza along with veggies flying all over it. You can download this vector for free from the below-mentioned link. You may also see Cartoon Vectors. 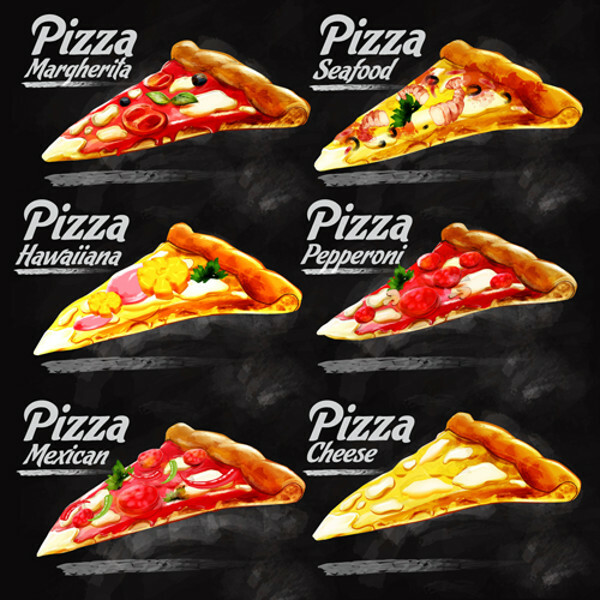 Here are six different illustrations of pizza and pizza slices that have been created digitally and can be used to give a funny look or any other project for that matter. Download it for free from the given link. 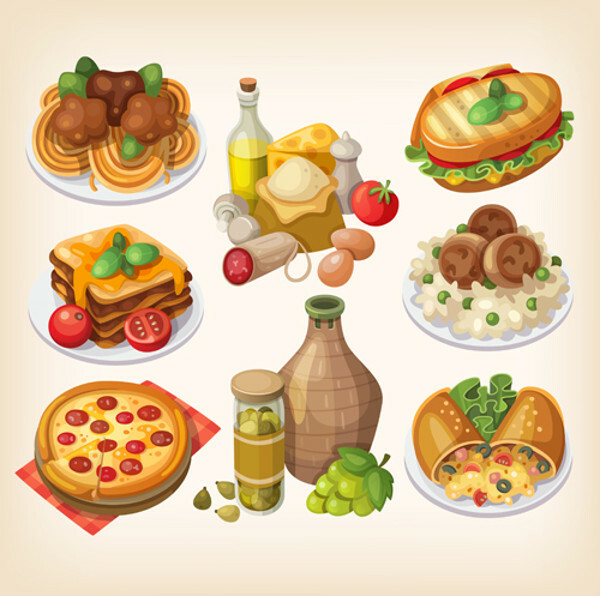 A lot of designs have been made around the same idea of the chef holding the specialty of the restaurant or eatery. 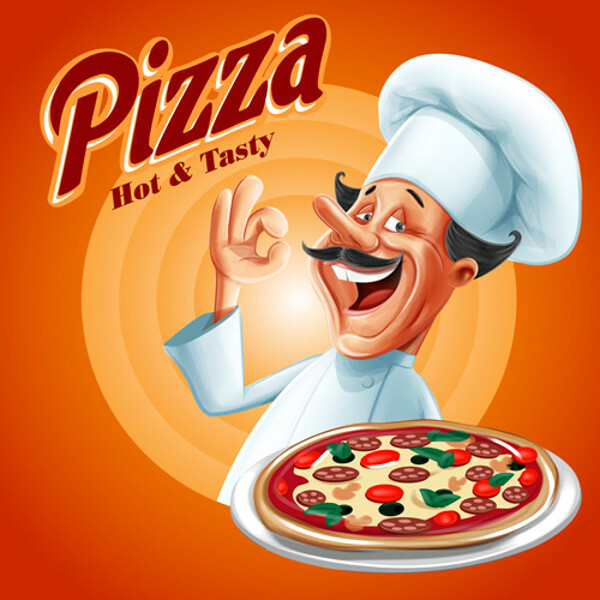 In this case, it is a chef with a pizza that is hot and tasty. This download is also for free. 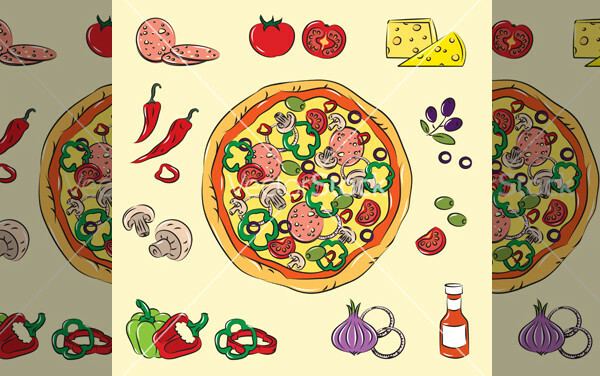 Here is a premium vector illustration of the digitally created pizza that has taken a lot of details into the account. The design is available as an editable vector and lets you customize details as small as the shadows and other tones. 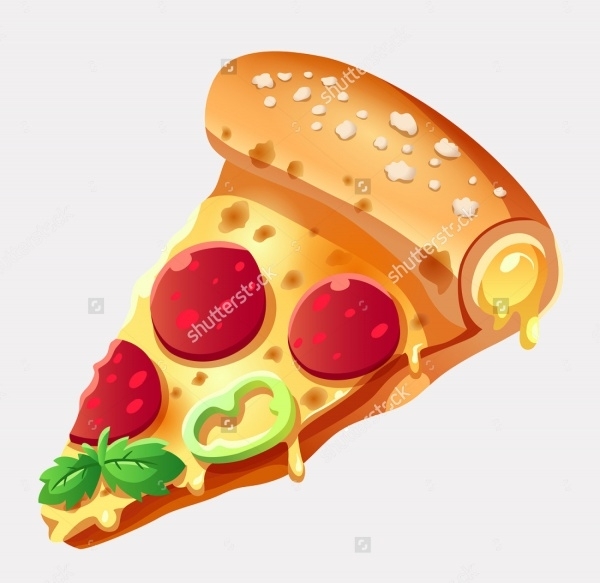 Check out this beautiful illustration of a slice of pepperoni pizza with a cheese filled crown around the base. You can download this stock vector illustration in high quality for free from the below-mentioned link. Pizzas always look different. Even the similar ones from different places look different. 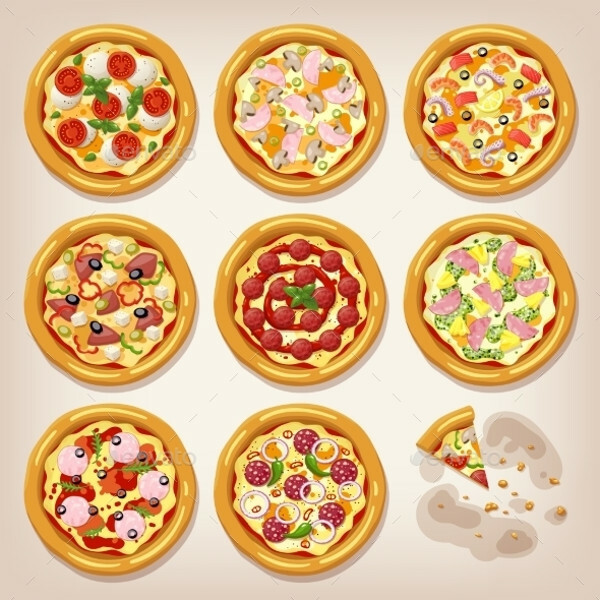 So you would want a wide variety of pizza illustrations if you were working on a professional client’s project. Here is a collection to help you out with it. 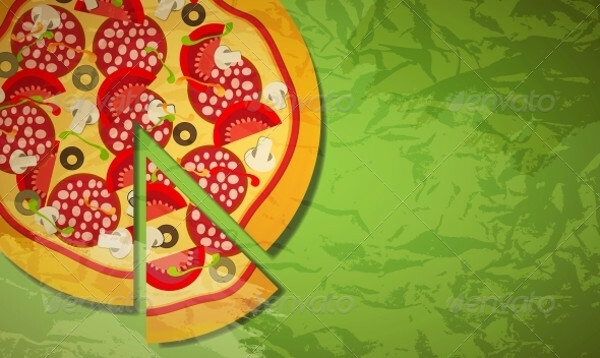 This is a pizza slice wrapped around in a congratulatory ribbon band just like this vector illustration that you can download in high quality for free. 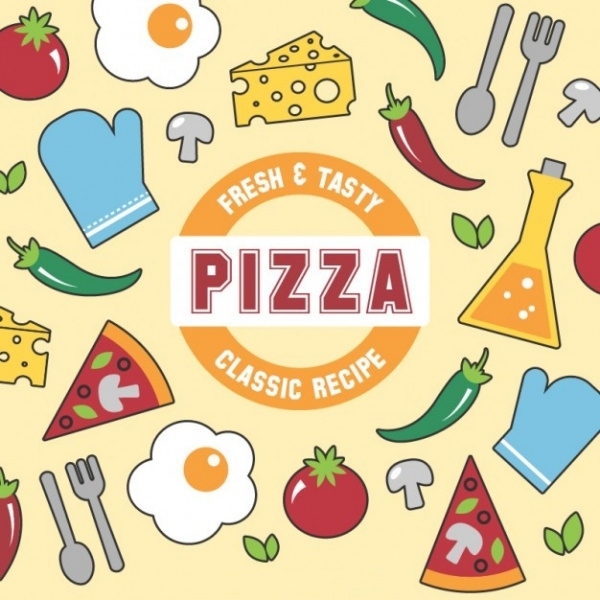 Check out this brilliant premium vector template that you can look at and use as a reference for your pizza menu design. 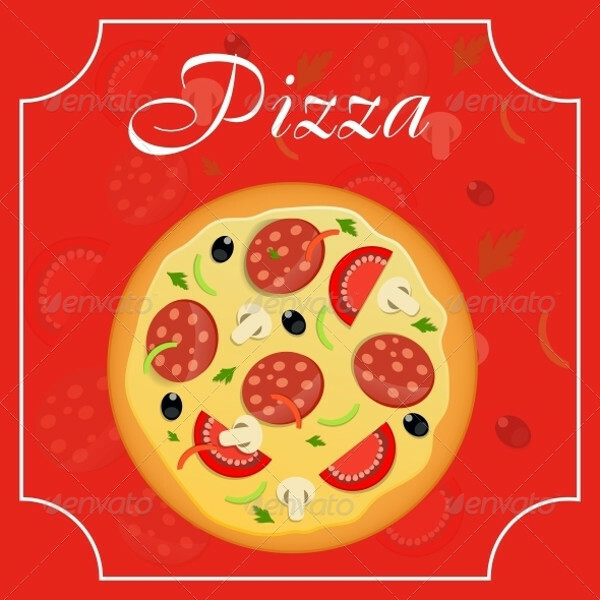 Check out this funky design vector of a pizza cut into slices on a board with different labels on each of the slices. 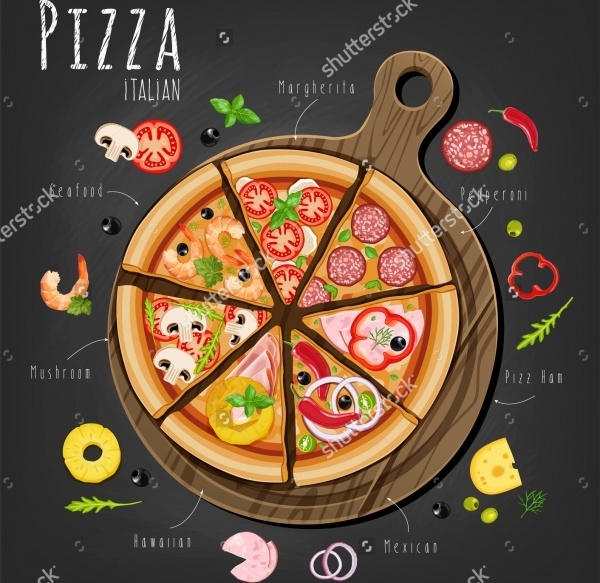 This design can find a place in any pizza corner for a funky wall menu design. Here is another premium vector that you can download as an editable eps file. 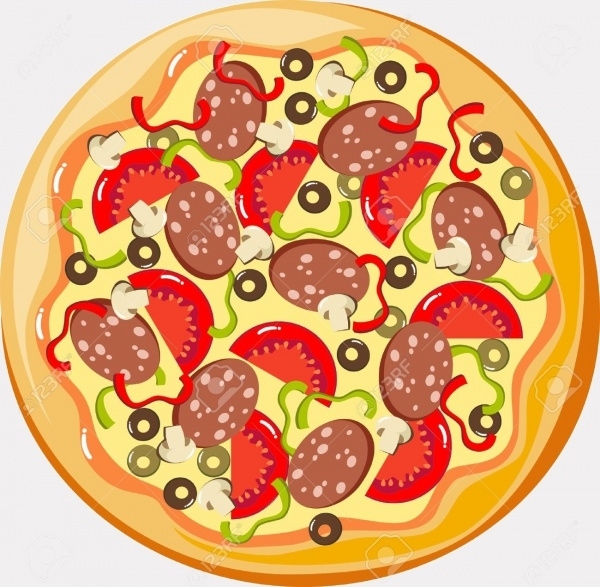 But you can simply use this design as a reference for your own pizza design and save some money on the download. 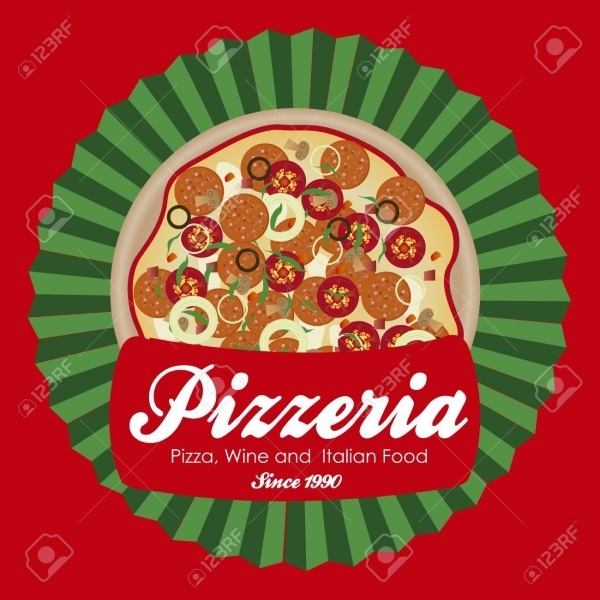 Here is a cool pizza vector available for you. You can even download the rasterized image that has been optimized for different web and print purposes. Check it out at the given link. Here is a great vector illustration available for free in high quality. 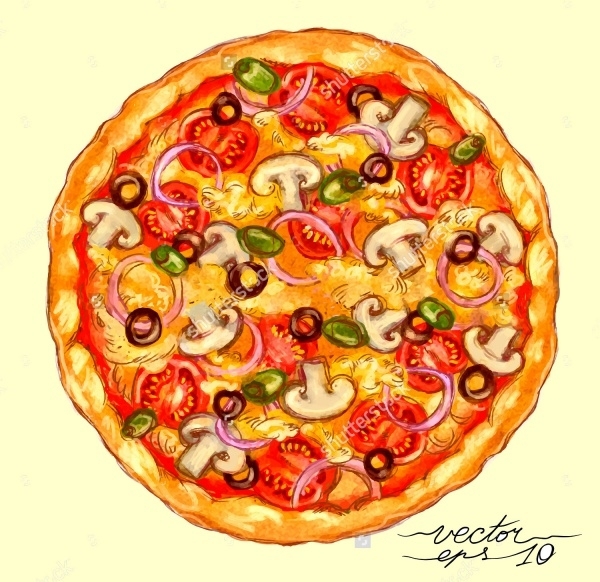 The design gives the impression of a watercolor style pizza design. Check it out here. 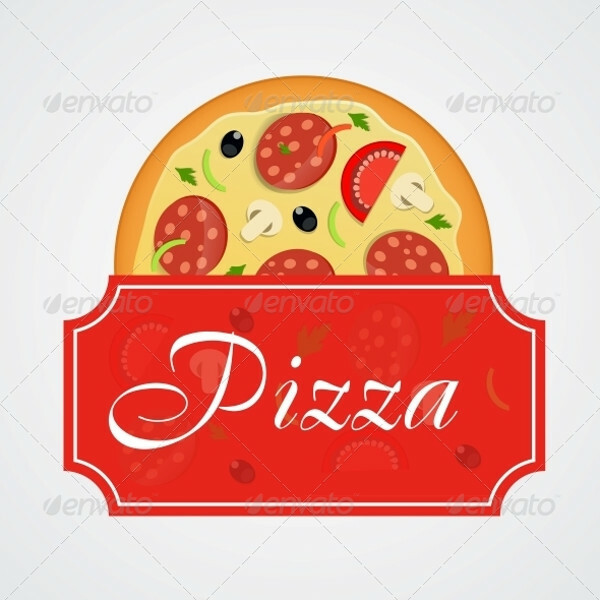 This is pizza vector with a vintage look that is available for free and can make a place in menu designs and even restaurant names can be placed in this design. 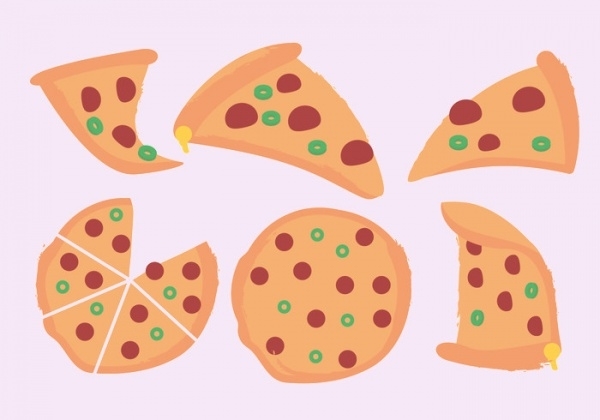 Here are a bunch of illustrations related to pizza and pizza world. You can isolate each element and use it separately in your future designs. Download it for free from the given download link. 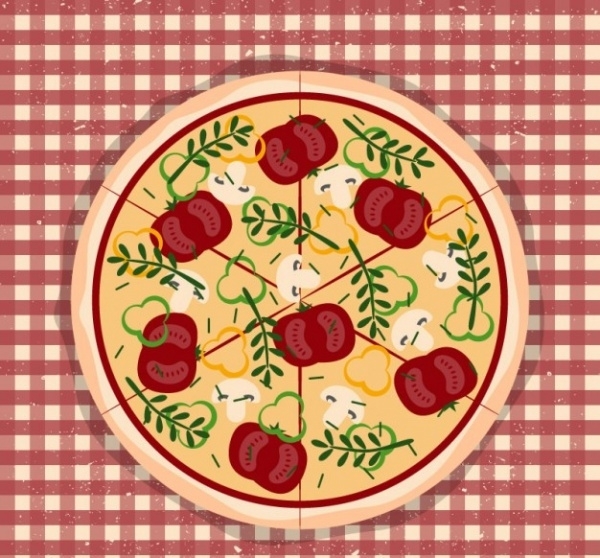 Here is another great design that is available for free and shows a pizza sitting on a tablecloth. The digitally created vector illustration can be downloaded from the given URL. 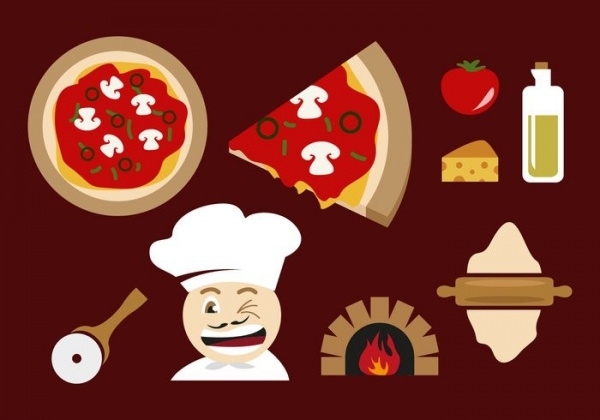 Using these pizza illustrations you can now create menus, party and event flyers, pamphlets and invitations. As you could see, most of the designs were digitally created giving it a peculiar look. You can even check out cartoon vectors for more illustrations in a similar look.